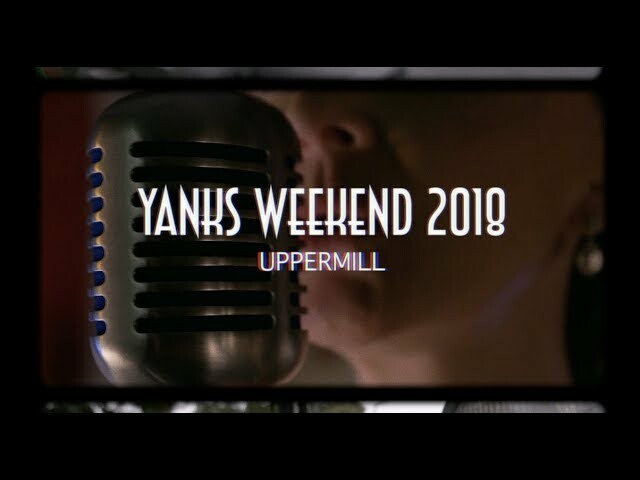 Yanks are Back in Saddleworth 2019! An unforgettable day out and fantastic experience for the everyone as the “Yanks” set up camp in the grounds of Saddleworth School in Uppermill, Saddleworth. This is a huge event that winds back the clock across the whole area taking you right back to World War Two!!! This very popular annual event was first staged 17 years ago to celebrate the local filming of the Hollywood movie “YANKS” in 1979 starring Richard Gere. Many locations in Uppermill and neighbouring Dobcross were used in the film. Just like the movie set, living history reenactors and vintage military vehicles owners recreate an atmosphere of Wartime Britain. Lots of wartime entertainment, period stalls, dancing, military vehicle parade and much, much more…! Now in its 17th year open to all Military & Classic Vehicles from 1914 to the Gulf war. You will see, Military Vehicle Encampment, Militaria & Vintage stalls, Mr Churchill, General Patton & Monty Visiting the troops. There will be musical entertainment on the hard standing all weekend provided by “Vintage Rewind Entertainments” topping the bill is the fantastic Katie Mustang, other entertainers will be announced shortly and there will also be FREE dance lessons from Trina and the Backstep Boogie Club. Following on from last year, we have now moved the Tea Dance into the school, this will be staged, in (Sports Hall 2) on Saturday from 12am – 3pm our tea dance, is hosted by Wendy & Jill with Trina spinning the discs from the Backstep Boogie Club, also Wartime Cinema, entrance is £3 and includes FREE dance lessons. Don’t forget our popular Victory Swing Ball on Saturday evening 7-30pm. This again will be staged back in the (School Hall 2) entertaining us will be the fantastic “Debonairs Big Band” along with the fabulous Katie Mustang, with Trina from the Backstep Boogie Club, spinning the discs and playing music from the decades plus FREE dance lessons. Tickets, have remained the same price as last year £15.00, only available in advance, including Hot Wartime Supper. Sunday, “YOU WILL SEE ALL OF THE ABOVE AND MORE“, plus the Mayor of Oldham and other Dignitaries, will be hosting a coffee morning with the Normandy Veterans followed by the Military Parade & Convoy, “STARTING AT 12 NOON IN UPPERMILL VILLAGE” led by Oldham Scottish Pipe Band, along with Post War Veterans, Cadets, plus Northenden Pipe Band leading Re-enactors out within the parade. Mr Churchill, will be in the lead vehicle of the Parade, going through the village of Uppermill, then making there way though surrounding areas of Saddleworth, up to the “Carriage House” public house, at Marsden. Do you want to show your classic / military vehicle? Or maybe you fancy running a stall at the event? Or are you a re-enactor or part of a re-enactment group and fancy getting involved? All are welcome at the Yanks Are Back In Saddleworth event 2019! Just head over to our Get Involved page where you can download the application forms – we hope to see you there! Please note there is no public parking at the school but we have been able to secure a park and ride scheme at Well-i-hole farm OL3 7LT. Space is limited and only available for visitors attending the main event at Saddleworth school. Please refer to our facebook page the full conditions. Adults £6.00; Children 5 to 16 years £3.00; Veterans FREE and Reenactors FREE with a pre-booked wristband. A family ticket is available at £15.00 for 2 adults and 2 under 16’s. Don’t forget, you will be issued with armbands, you can enter the show as often as you like, during the week-end.